My heart is definitely in the classroom and the relationships that come with it. I have been building relationships with students, parents, community members, post-secondary institutions, businesses and government institutions. These relationships create experiences and opportunities that are fundamental in expanding my students’ view of the world and what’s possible for them beyond what they’re familiar with. Not to say that I have no passion in Policy or Advocacy. Policy, I have been working with Advance Illinois, an educational policy group as a member of their Educator Advisory Council, EAC. Advocacy, I strongly believe in fighting for my students and programs like the Schurz Business Academy that provide real opportunities for them. I have also really enjoyed public speaking engagements with pre-service teachers; promoting the professional and offering some keys to success. Kevin Rutter has been a teacher for 15 years and currently serves as the Department Chair for Career and Technical Education (CTE) programs at Carl Schurz High School, a neighborhood, Chicago Public School. 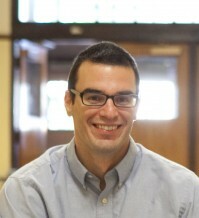 He will be going into his 12th year at Schurz High School teaching Economics and Business courses. Kevin was selected as the 2010 Illinois Teacher of the Year by the Illinois State Board of Education, Exemplary CTE Teacher by the Chicago Public Schools in 2010, and Chicago Bears/Symetra Financial “Hero in the Classroom” in 2011. As Illinois Teacher of the Year, Mr. Rutter is an ambassador for the teaching profession and plays and active role in shaping educational policy in the state. Kevin holds a B.A. in Social Science from Eastern Illinois, a M.A. in Chicago Studies from Loyola University, a M.A. in Teacher Leadership from the University of Illinois Springfield and is currently seeking an Ed.D from Northern Illinois University in Instructional Technology.